Dry fly or nymph fishing for summer grayling is a special fun in Slovenia. These freshwater game fish species are very interesting for both dry and nymphs fishing. Grayling population is especially good in various smaller and larger chalk streams of central and southern Slovenia but one of the best at the moment is probably Ljubljanica river. 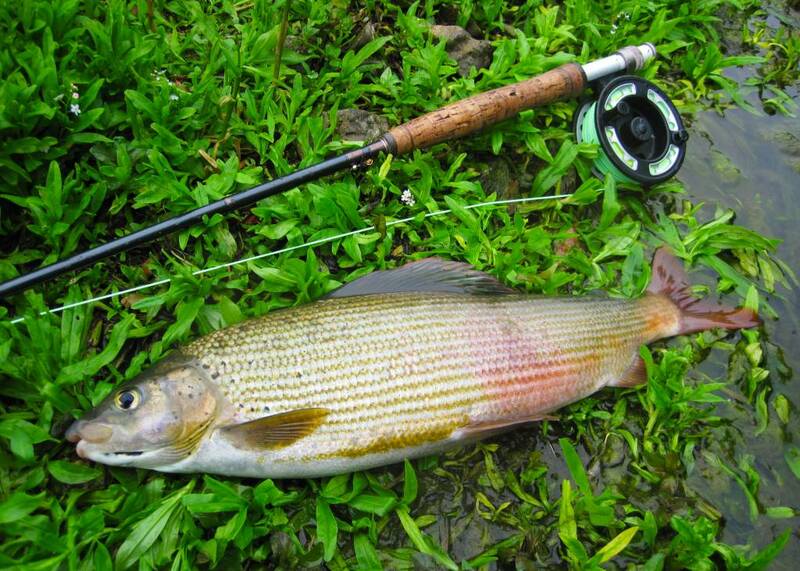 For grayling fishing there, we strongly recommend 9 feet rods from #3 to #5 action, mono tippet of small diameter, say 0,10 mm, minute flies (especially F-fly or CDC in general on barbless hooks #24, various small olive, brown and black nymphs with no shiny bead heads). First stretches of the Ljubljanica river are shallow and one can easily wade through. Lower stretches are up to 5 m deep and grayling fishing is more similar to still water trout fishing. But still fun! Want to fish at Ljubljanica river? You only need a licence! Buy it HERE. Tight lines! 30+ kg large carp caught in Slovenia! Do you know the difference between non-native and invasive species? How to avoid overcrowded fishing districts? Where to open a new season 2019? It's really easy and safe. Just click on www.ribiskekarte.si/en and find your favorite fishing place. Fishing licences may be bought online. For payment you can use major credit cards or PayPal. How to buy fishing licence? Slovenia has it all – amazing fly fishing districts, carp fishing lakes and ponds, rivers for coarse fishing and great fisheries full of predatory fish species. Click HERE and find your perfect fishing place!